Larry Beckwith, Artistic Director and Founder of Toronto Masque Theatre. “It’s basically a celebration of friendships,” says Larry Beckwith, Artistic Director and Founder of Toronto Masque Theatre, of their upcoming concert, entitled The Last Chaconne. The event on May 12 will be Toronto Masque Theatre’s final performance. After exploring the masque genre - a Baroque combination of music and theatre - for what Beckwith calls “fifteen very intense seasons”, he looks forward to paying homage to the niche that TMT has carved out in Toronto’s rich musical scene. The Last Chaconne will feature a this-is-your-life-style group of performers, almost all of whom have a strong history with TMT. “Monica Whicher sang in our first show in 2004,” Beckwith recalls, “and I’ve always adored her singing.” The company also welcomes regular collaborators like tenors Colin Ainsworth and Lawrence Wiliford, and sopranos Vania Chan and Shannon Mercer. 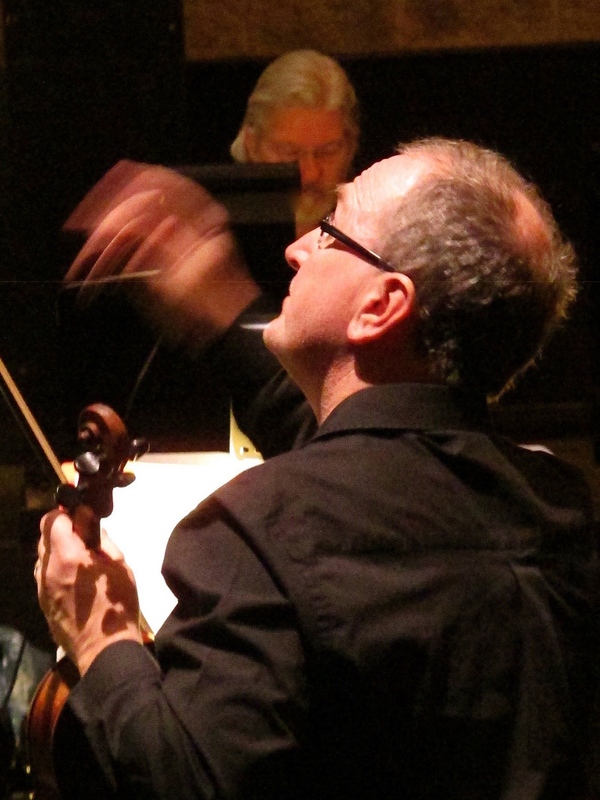 Larry Beckwith conducting Toronto Masque Theatre. Photo courtesy of Toronto Masque Theatre. Audiences will hear not only traditional masques by the likes of Purcell and Handel - including some personal favourites of Beckwith’s - but also excerpts from TMT’s original masque commissions by Canadian composers Dean Burry (The Mummer’s Masque) and James Rolfe (Orpheus and Eurydice). TMT has introduced to Toronto the lesser-known gems in the masque genre, and with TMT’s Canadian commissions, Beckwith is proud to have contributed to its potential as a contemporary art form. “I think we really mined [masque] to a huge extent,” he says. Now, Beckwith’s decision to wrap up TMT is fuelled by a desire for something new. The Last Chaconne will surely celebrate the work of Toronto Masque Theatre, and it already has an air of homage to Toronto’s artists. “After fifteen years, I felt like having a party,” Beckwith laughs. TMT’s final concert happens May 12 at the Jane Mallett Theatre. For details and ticket information, click here.